Week 1 in the NFL is finally upon us, with some squads already looking like they are in midseason form, while others are sputtering to the start. Teams like the Patriots, Broncos, Saints and Packers have absolutely no concerns at all about the state of their quarterback positions. However, some clubs prepare to enter the 2013 campaign with their breaths held as far as the status of their QB situation goes. The Buffalo Bills might just have the most to be concerned about quarterback-wise entering the season. With rookie first round pick E.J. Manuel recovering from knee surgery and veteran signal caller Kevin Kolb now out for the year with a concussion, Buffalo looks to undrafted rookie Jeff Tuel to carry the team. Everything about this screams alarming. For the short-term, they have an undrafted first-year guy starting Week 1. Not to say he is incapable of leading the club, but having a third-string quarterback starting this early in the season isn't exactly promising. Long-term, there is little reason to be optimistic, either. Kolb's career is now in question after another concussion, and Manuel has already went under the knife before ever having taken a meaningful snap in the NFL. There is no telling how he will look physically after the procedure, or if this will be an ongoing problem over the course of his career. In addition, all the time missed in camp and in the preseason has deprived the rookie valuable snaps needed to get acclimated to the speed, look and feel of the NFL. Plus, if the Bills are already on QB No. 3, what exactly is their backup plan for their backup plan? 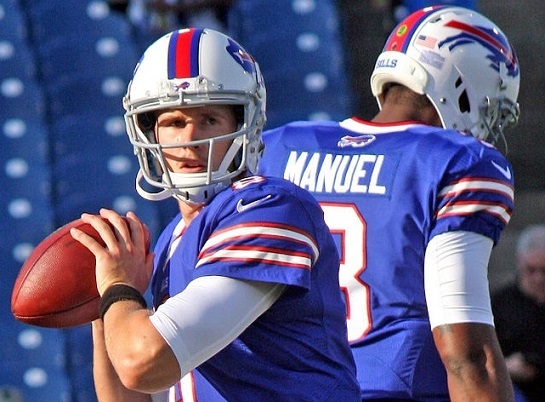 If Tuel is ineffective, do they just stick with him anyway? Or what if he too gets hurt? Brad Smith has some quarterback experience, but he was just placed on injured reserve as well. Sorry, Buffalo fans. Unless C.J. Spiller has an MVP-caliber season, this is going to be a long year. 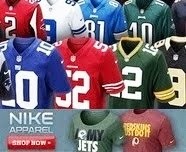 Another team in the state of New York with a mess at the quarterback position is the New York Jets. Maybe they have a little more promise long-term, but right now, Week 1 can certainly take its time getting here as far as they're concerned. Incumbent starter Mark Sanchez has a shoulder injury from one of the more bizarre preseason quarterback mismanagements in quite some time, and second round pick Geno Smith has somehow managed to look like a downgrade from Sanchez (if that's even possible) in his time running the offense. Third-stringer Matt Simms has performed admirably, but most of his work has come against second and third-string defenses, so it's hard to take what he's done all that seriously. With Sanchez doubtful for the opener, Smith will more than likely get the nod. However, his inconsistent play and poor execution raises questions about his ability to step in and lead the team as a first-year starter. Needless to say, this will be another interesting and potentially painful situation to watch play out. Lastly, an under the radar quarterback situation lies 3,000 miles away in Oakland with the Raiders. This QB question mark is unique because it is not completely because of the quarterbacks, per say, but more so what's around them from a talent perspective. Matt Flynn was supposed to be Seattle's starter last season, but Russell Wilson emerged as the victor of that battle and Flynn was shipped off. Terrelle Pryor has all the tools to be a productive QB with the Raiders, but the offensive line makes this situation a little cloudy. Pryor may hold the upper hand because of his size and versatility, but Flynn could end up being named the starter by default because he is a better pure passer. With a little experience, Pryor could grow to be more of a long-term solution for the Raiders, primarily because his speed can cover up some of the flaws on the offensive line. Basically it's a coin toss as far as who the starter will be in Oakland, but it may not matter either way given the supporting cast there. With the start of the season now only days away, these teams will need to find an answer to their quarterback questions fast. Unfortunately for them, that's a lot easier said than done. I'm hearing rumors that the Bills are going to sign Tebow now that the Patriots have released him. Anyone know if that's true or not? All three of these teams are screwed. Won't win 10 games COMBINED this season. The Jets are in the worst shape. Manuel will end up being better than Geno, who I think is very overrated. And we already know how awful Sanchez is.